Interactive Map Location of Kepler City in Torren. Kepler City is a city located in the western Torren region. It is the hometown of the fifth Gym Leader, Anastasia. Kepler City is referred to as the tech and science city of Torren, which can be seen from the gears and other devices scattered throughout the city. Though only a few small ponds are placed throughout the city, after Audrey summons a massive storm using Lugia the city becomes flooded significantly, causing houses to become inaccessible as well as causing the exit to Route 11 and the PikaTaxi to disappear. The effects of the storm alleviate after clearing the Abyssal Base, granting access to Route 11 once more. Go to the Observatory and attempt to head through the door to the off-limits area. After Audrey leaves, use the Scuba Gear given to the player by Anastasia to access the ocean floor of Maelstrom 9. Enter the Gym and battle Anastasia. After exiting the gym, follow Taen into the Hidden Workshop. Head north to Route 11 after defeating Taen. 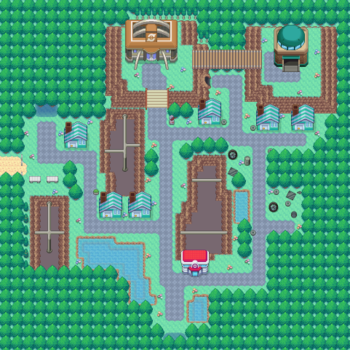 The observatory located east of the Kepler Gym is where Anastasia can be found when not acting as a Gym Leader or working on other projects in her workshop. After obtaining the Circuit Badge, the Hidden Workshop beneath the Kepler Gym is open for the player to purchase armor from Anastasia. Rotom's form can also be changed here by interacting with one of the appliances with a Rotom in the player's party. 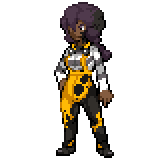 A scientist on the east side of the Hidden Workshop is willing to teach various Electric and Steel-type moves to the player's Pokémon. The Kepler Gym is the official Gym of Kepler City. Its Gym Leader, Anastasia, specializes in Steel and Electric-type Pokémon. Trainers who defeat her are awarded the Circuit Badge, as well as TM24 (Thunderbolt) as a reward. An old woman in the city's second-rightmost house is willing to teach Defog to the player's Pokémon. Here the player got the chance to alternate their hair style. Wild Pokémon can be encountered by surfing or fishing in any of ponds in the city, including when the storm is active. A Hiker in the house northwest of the Pokémon Center is willing to trade the player a Beldum for an Electric and Fire-type Pokémon. Note that the only Pokémon which currently fits this criteria is Heat Form Rotom. There are two instances where Hekate Town and Kepler City are suggested to be opposites of one another. A man in eastern Kepler City states that whereas Kepler City focuses on science and innovation, Hekate Town is more interested in magic. Another man in western Kepler City explains why the cost of living is so high in Kepler and is considering moving to Hekate Town instead, which suggests that Hekate Town's practice of magic is less costly than the price of research and engineering in Kepler City.